I used this exclusively during my cell-biology unit while teaching Biology a few years ago. It provides interactive graphics and animations for students as well as for teachers. 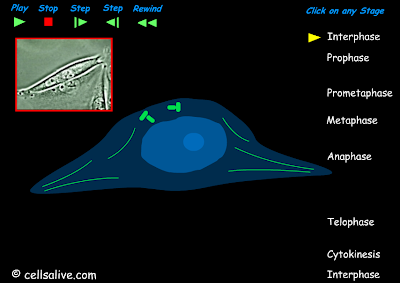 Create inquiry-based lessons and activities surrounding the cell, cell cycle, mitosis, meiosis, etc as a microscope-less lab activity. Or present these animations as enrichments to your direct instruction.